Azure and aquamarine are colors you don’t often see on office buildings today. 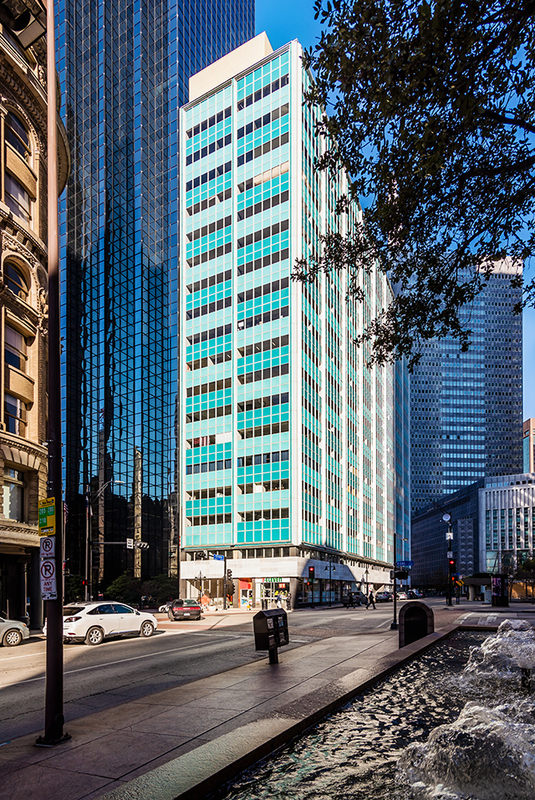 However, in the 1950s, color panel buildings were all the rage and downtown Dallas had its fair share of them, including the 18-story office building at 211 North Ervay St., completed in 1958. At only 50 by 200 feet, the lot size did not give developer Leo Corrigan much room in which to work for creating his fourth downtown office tower. Thomas Stanley of Hedrick & Stanley designed a sleek and slender building to fit on the small lot fronting North Ervay Street and spanning the block from Elm Street to Pacific Avenue. 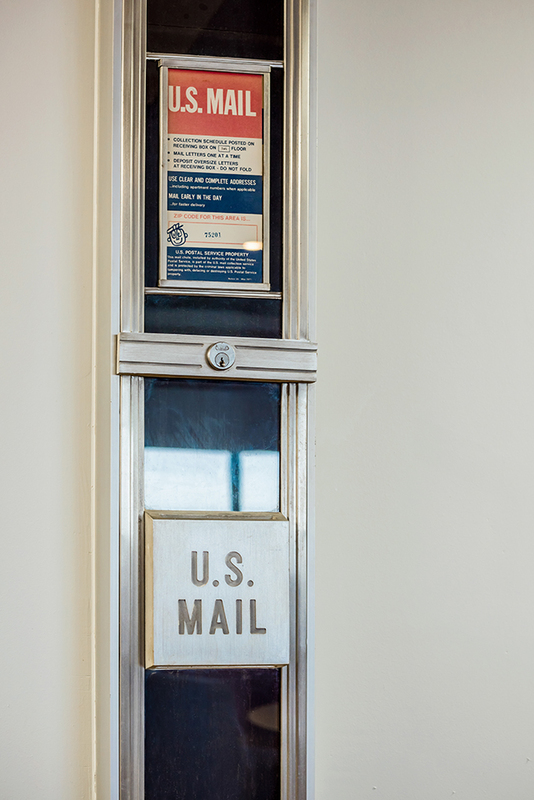 The highly visible location and its distinctive blue panels made the building stand out—then, and still today—among its granite and glass neighbors. 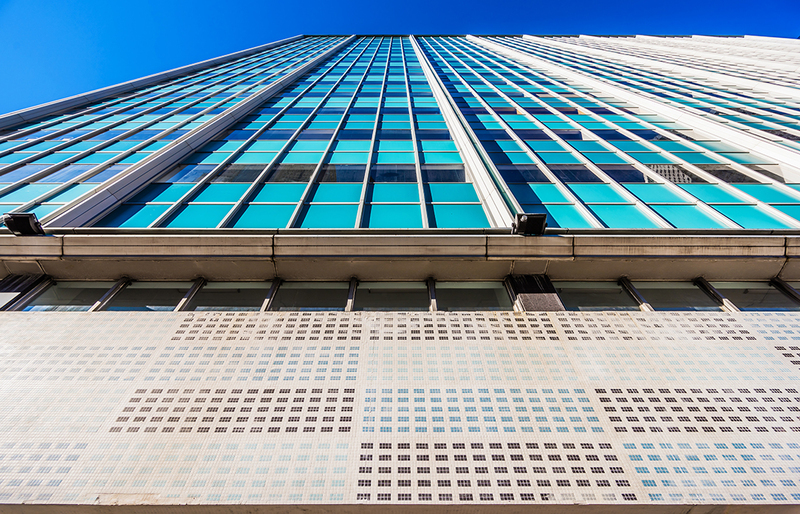 The office building retains its original porcelain enamel steel panels between ribbon windows. The slightly different shades of blue form a checkerboard pattern on the facade. That pattern is mimicked above the storefront in small, one-inch square mosaic tiles in the original belt course. The blue panels were manufactured locally by the Texlite sign company. The firm created many of the neon theater signs in the 1930s and 1940s, the Pegasus on top of the Magnolia Building, and panels for other 1950s buildings, including the Statler. Over the years the building was home to law firms, insurance companies, and travel-related offices. By 1995, the building was vacant, rundown, and not many people appreciated its colorful façade. In 2004, Mayor Laura Miller called it an eyesore and the Dallas Downtown Parks Master Plan that year called for its demolition and replacement with a park. 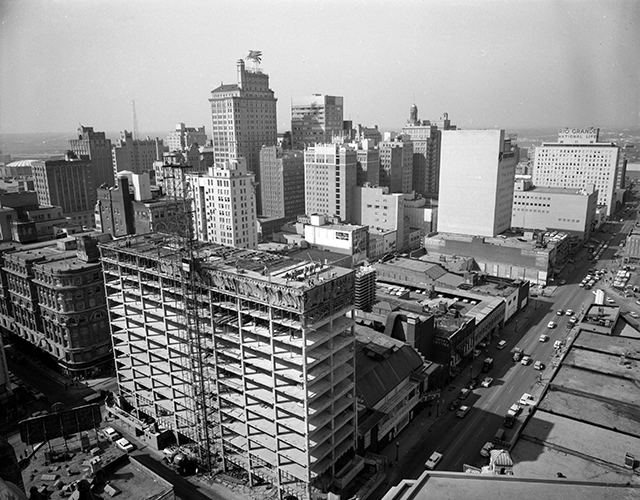 In response, Preservation Dallas put the building on its endangered list. Mayor Tom Leppert, four years later, claimed it to be a threat to health and safety. Thankfully, it survived the calls for demolition and hung on until the current owners, Alterra International, purchased the building in 2012. 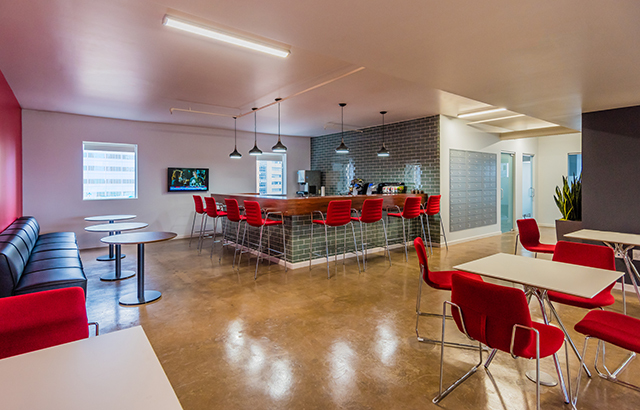 The idea of the social work space is a growing trend and 211 was adapted specifically for that purpose. 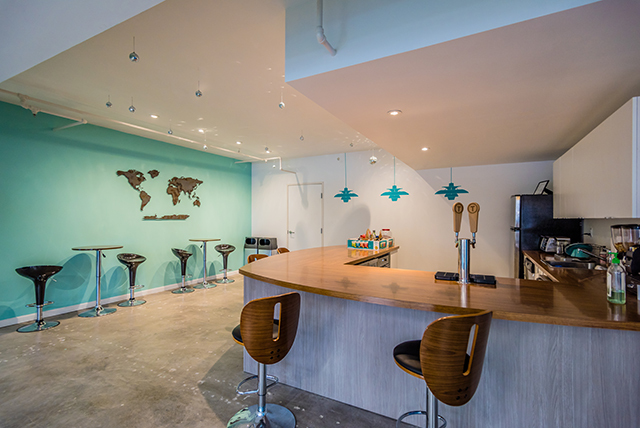 Many of the new tenants are young entrepreneurs and risk-takers wanting to work in a collaborative environment without traditional walls and offices. Each floor is specifically designed with the tenant in mind and everything is customized for their needs. 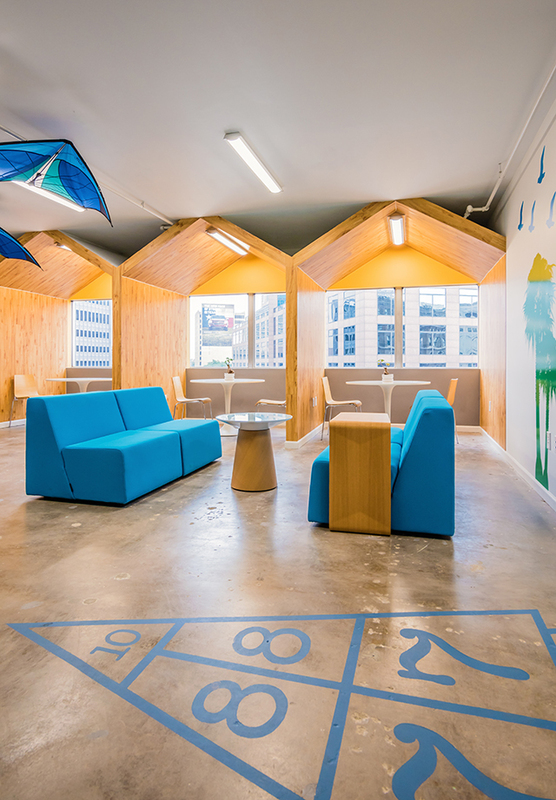 Included in the building are engaging colors and furniture, large breakrooms which function as public gathering spaces with bars and televisions, shuffle board and hop scotch courts, and a tire swing. 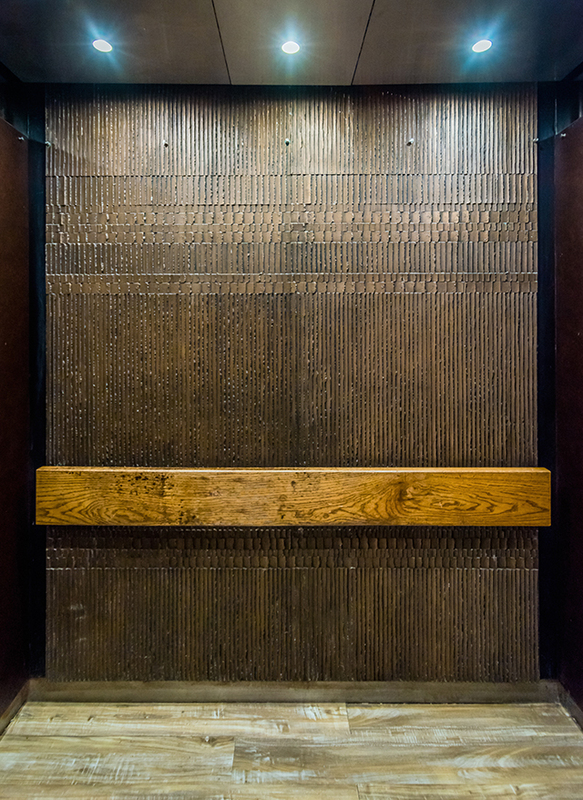 Even though there are many new features in the building, touches of the original remain, including the glass mail chutes on each floor, ceramic water fountains in the elevator lobbies, door hardware, marble walls in the lobby, and the elevator panels. Today, 211 North Ervay is a great example of how to repurpose an historic building for a new modern use while still keeping its charm and uniqueness. More and more young people entering the work force are shunning bland and boring office spaces. 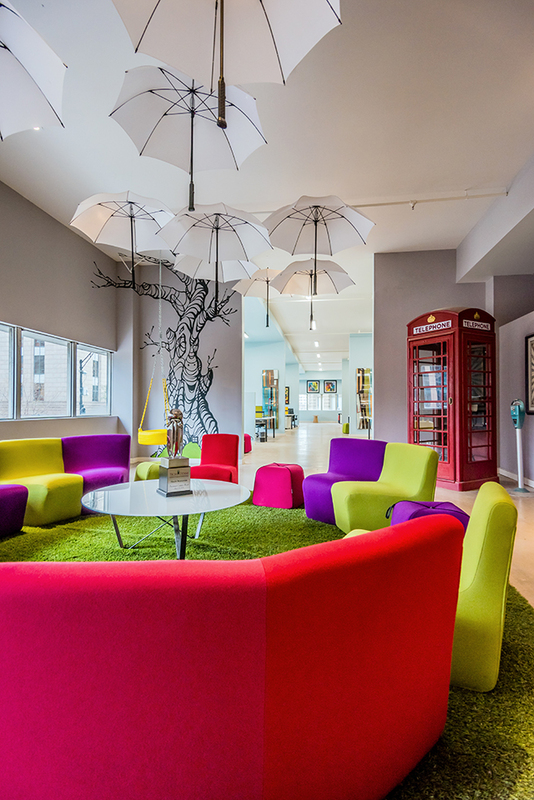 They want to work in an environment that is different with loads of character that helps inspire creativity. The 211 fits that bill. After all, how many people can say they work in a blue office tower with a tire swing?